People who drink lots of soda or other sugary beverages may have a higher risk of developing rare cancers in the gallbladder and bile ducts around the liver, a Swedish study suggests. Little is known about the causes of biliary tract and gallbladder tumors, but emerging evidence suggests obesity as well as elevated blood sugar levels that are a hallmark of diabetes may increase the risk of these malignancies. 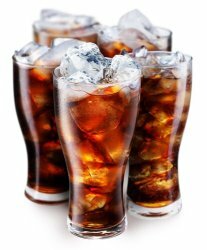 Because sodas and other sugary drinks have been linked to high blood sugar and weight gain, researchers wondered if these beverages might play a role in these types of cancer, said lead study author Susanna Larsson of the Karolinska Institute in Sweden. To explore this possibility, researchers analyzed survey data on the eating and drinking habits of more than 70,000 adults then followed them for more than 13 years on average to see whether cancers got diagnosed. Only about 150 people developed biliary tract or gallbladder cancers during the study period. 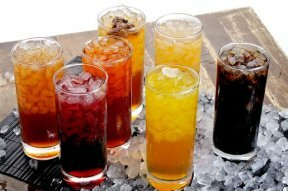 But compared with people who avoided sugar-sweetened drinks altogether, individuals who consumed two or more juice drinks or sodas, including artificially sweetened sodas, a day had more than twice the risk of developing gallbladder tumors and 79 percent higher odds of getting biliary tract cancer, the study found.